Happy New Year everyone! 2017 is here and with it a new set of goals. I always pick 5 goals for each new year. For 2017, I picked practicing gratitude as one of my goals and to do so, I have found a great tool: the 5 Minute Journal. What is the 5 Minute Journal? 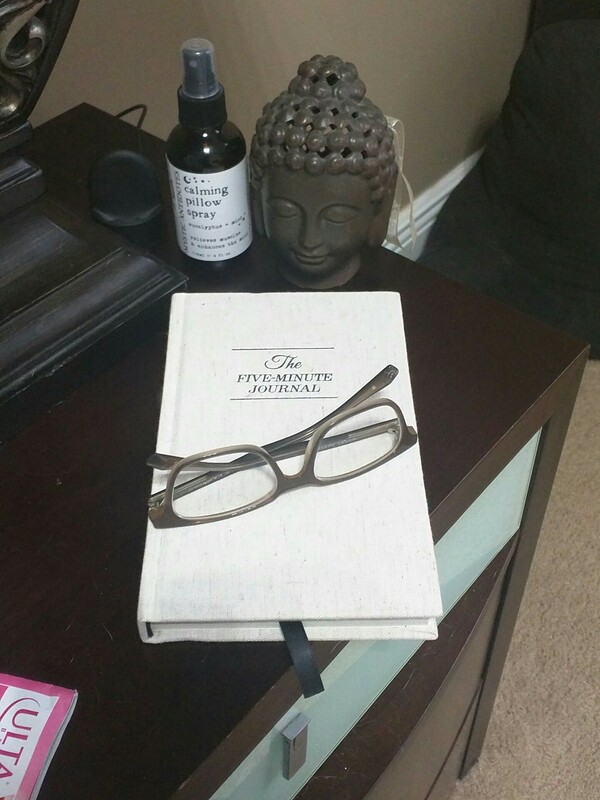 The 5 Minute Journal is a journal that uses the science of positive psychology to improve happiness. The journal features a day and night routine. The day routine takes me about 3 minutes and the evening routine takes about 2 minutes to complete. The journal also offers “weekly challenges” that forces you to do something outside your routine such as calling a friend who lives far away. The journal comes in 2 formats: an app and paper format. 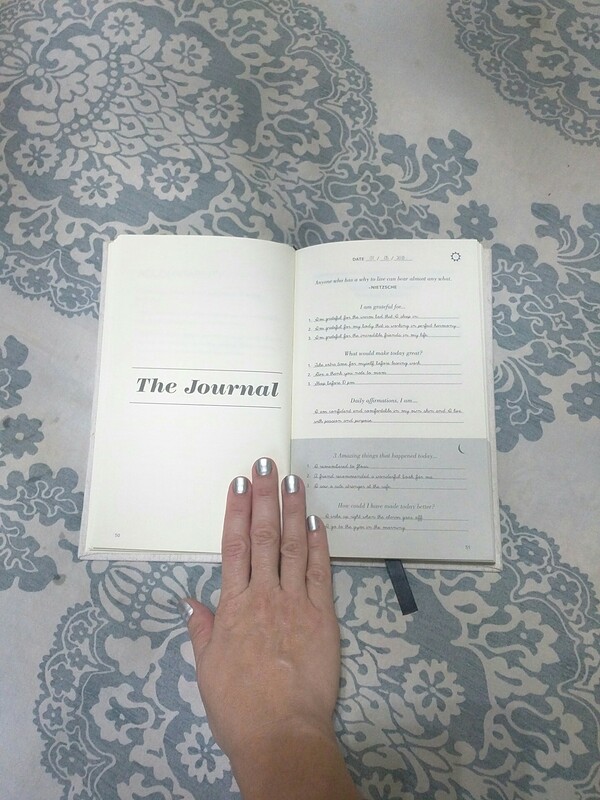 I really like the 5 minute journal and I recommend it to all my friends. With only a week of use, I have notice the change in me. I am happier and more positive than ever. Counting my blessings daily, allows me to start the day with a positive mindset. This positive mindset allows me to handle tough situations with grace and calm. I leave my journal on my bedside table so I don’t forget to do it. It is so simple to use and only takes me couple of minutes of my day. The hardcover version is available for purchase online for $22.95. The 5 Minute Journal also offers an app for $4.99 available for IOS devices as of the writing on this review. I prefer the paper version but if they made an Android app, I will give it a try. So far I love how easy and powerful the 5 minute journal is and definitely recommend it. Practicing gratitude is a habit worth keeping. 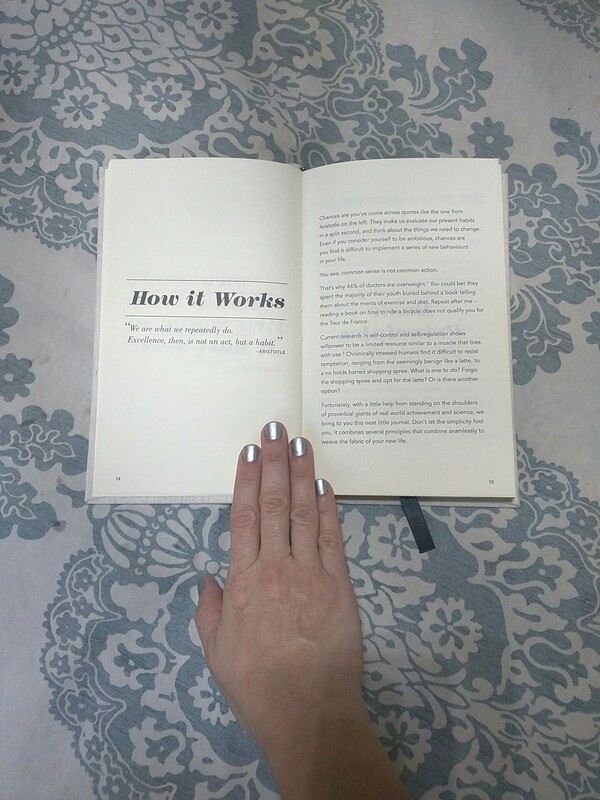 I hope my review encourages you to start practicing gratitude and happiness. Maybe you want to buy your own copy? This entry was posted in My Mind, My Self, Product Reviews and tagged hacks, happiness, happy, life hacks, productivity, self improvement.